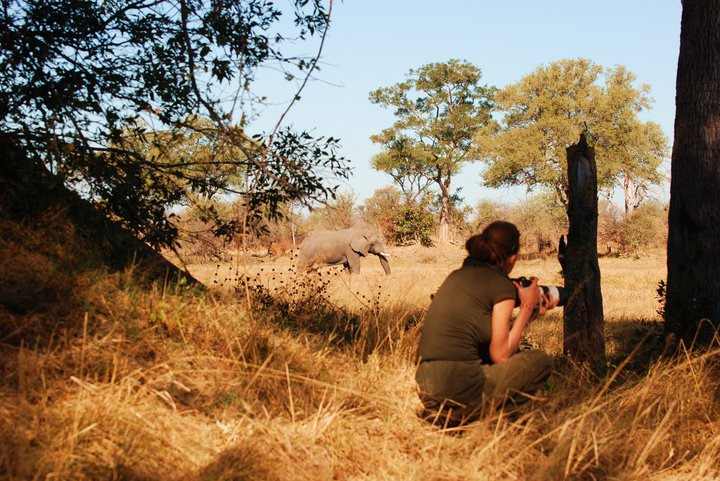 Below are a few frequently asked questions regarding river safaris and camping in general. The Caprivi has basically 2 seasons the, dry and the wet. Apart from the obvious difference in the weather the surroundings change and animals can be found in different places . The dry season is when the water dependant animals come to the river to drink due to the lack of water in the bush so is the best time to view land animals from the boat such as elephant and buffalo. Days are warm and dry and nights can be cold with totally clear skies. Fishing is best when the river is running down. The wet season (Nov-Apr) is when our migratory birds are here with carmine bee eaters nesting in the riverbanks and visiting swallows arrive in their thousands from europe. Most of the mammals including hippo bear their young at this time of plenty and the interaction between the young animals and the adults is always fascinating, something that cannot be witnessed in the dry. The reptiles are also more active during the daytime hours and this is the best time of year to see snakes and young crocodiles. Fishing is more difficult as the fish are breeding and tend to spend most of their time hidden in the reeds. Despite the Caprivi being a tropical climate the temperature extremes can sometimes surprise people and leave them looking for clothes that they didn't bring along. In winter (June to August), nightime temperatures can dip to around 5 degrees celsius and the mornings can be chilly until the sun has fully risen. Winter afternoons usually average around 25-28 degrees with a cloudless sky so protection from the sun is essential. Between may and late november the chance of rainfall is almost zero. I addition to shorts and t-shirts bring a warm fleece/jacket and possibly a windbreaker to wear on top. A warm hat and gloves may also be a useful addition if you have space. Light, full length hiking pants are best to ward off both the cold evenings and the mosquitos around camp. A wide brimmed hat and sunglasses are also essential. For footwear we recommend a pair of sturdy sandals and a pair of light hiking boots. Summer (November-March) is when it rains in the Caprivi with warm nights and hot, humid days.Most of the rainfall occurrs in the afternoon/evening and obviously the risk of malaria increases with the increased water levels. The suggested clothing requirements do not differ too much from winter but a raincoat is a worthy addition and even a small umbrella if you can carry it. Our daily schedule is tailored to try and avoid getting caught in the rain on the river but sometimes we do get it wrong and people do get wet!! It happens I'm afraid but we do our utmost to avoid it. Mats, sleeping bags,pillows and towels are provided on camping trips. The Zambezi Region is a malaria area, particularly close to the rivers and we do our best to protect you from the threat by suppling repellant and insect killer for your tent. You can also help yourself by covering up after 6 pm with long trousers and sleeves, always making sure that you wear something on your feet. Tents must be zipped shut to avoid insects entering and being closed in with you at night. There is nothing worse than having a buzzing mosquito disturbing your sleep. For more information on malaria click here and for advice on prophylaxis please consult your doctor, telling him or her where you intend to travel to. Is there any danger from wild animals? Animals have their bad days as well as we do, but in general if treated with respect they usually reciprocate. We do our best to minimise these threats by employing highly trained guides/drivers who are familiar with the behaviour patterns af the animals and instinctively give them plenty of space. There are a number of local clinics in the area offering basic facilities but for more care Katima Mulilo has a state hospital for dealing with emergencies as well as private medical facilities. For major medial emergencies we recommend that people take out travel insurance which includes air evacuation. We do hold a public liability policy but we advise that when undertaking any travel in Africa guests take out a travel insurance policy which covers them for emergency medical treatment, medical evacuation and repatriation to home country. Kongola has a reliable petrol supply and there are larger service stations in katima (110km east) and divundu (200km to the west). Always check ahead though as supplies can sometimes be sporadic. Tyre repair is possible at Kongola. Although local people drink water from the river and it is very clean we do not advise that tourists consume it. We provide plenty of clean drinking water on board the boat. Due to the lack of landline telephone at the camp we only accepy payment by means of cash (including US dollar, Sterling and Euro as well as local currency and SA Rand) or bank transfer. Is there an ATM closeby? Our service station at Kongola now has a reliable ATM machine but be aware that it only accepts Visa debit/credit cards and that mastercard is not accepted. If in doubt please draw cash in Katima Mulilo, Kasane or Rundu. Please inform us beforehand if this is the case and we can prepare meals to suit. Please contact us if you have any further questions regarding the activities or Mavunje campsite.